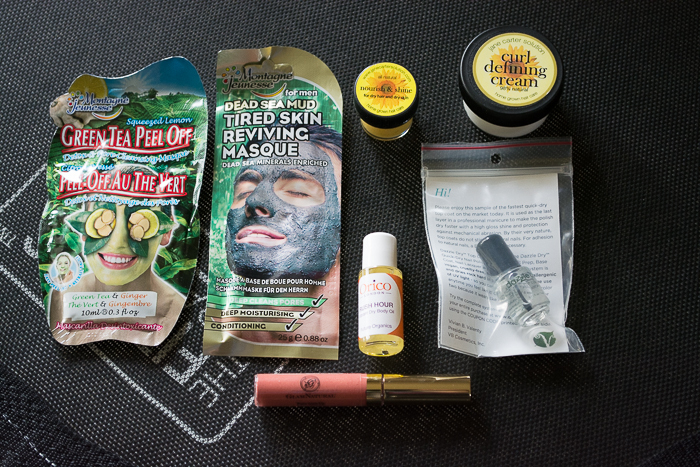 Here’s a review of the Vegan Cuts April 2014 Beauty Box. Description: Dead Sea mud masque for men that removes impurities and firms skin + a green tea and ginger-infused peel-off masque that cleanses and tones while refreshing skin. Jeremy did the peel-off and I did the dead sea. I don’t think he peeled his off. What a waste of a peel-off!!! They were refreshing and a treat to have on hand. It looks like they are a European brand, but some of their products are available on Amazon. 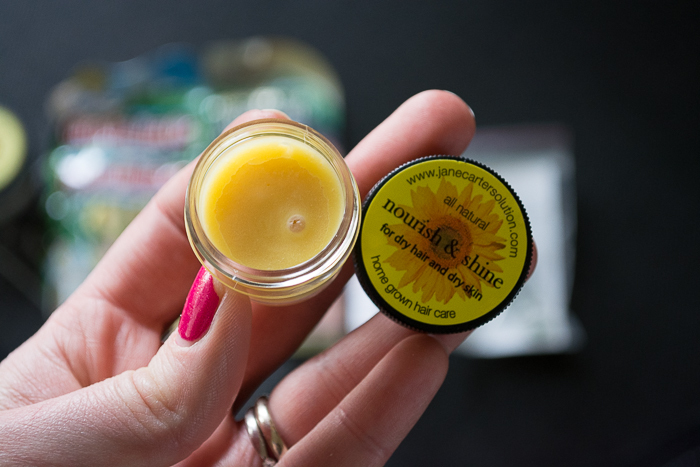 Description: Is a blend of all natural butters with vitamins and essential oils, this remarkable hair nourisher is ideal for medium to coarse hair. It completely melts into the hair helping to reduce dryness, but never leaves your hair feeling greasy…just looking shiny and healthy! Fabulous on your hair, fantastic on your skin! I have a mix of thin and thick wiry hair that’s wavy when it dries naturally. I rubbed a little bit of this between my palms and dispersed it through the ends of my hair. It has a nice shine and natural scent. My hair still needed a little something extra to combat the fizz, but maybe I should have used a little bit more of the product. Description: Our award-winning Curl Defining Cream is the very BEST on the market. Available in either 6oz or 16oz (16 oz includes pump). Composed of shea butter, avocado and jojoba oil, this versatile cream elongates tight curls and defines looser curls without leaving any residue. It adds incredible shine, dries soft to the touch and is perfect for wash-and-wear curls. Ingredients: Water (Aqua), Butyrospermum Parkii (Shea) Butter, Glycerin, Persea Gratissima (Avocado) Oil, Behentrimonium Methosulfate, Cetyl Alcohol, Hydroxypropy Trimonium Chloride (Guar Gum), Glyceryl Stearate, Simmondsia Chinensis (Jojoba) Seed Oil, Anthemis Noblis Flower (Chamomile) Extract, Symphytum Officinal (Comfrey) Leaf Extract, Equisetum Arvense (Horsetail) Extract, Urtica Dioica (Nettle) Extract, Rosemarinus Officinalis (Rosemary) Leaf Extract, Humulus Lupulus (Hops) Extract, Citric Acid, Ceteareth 20, Tocopherol (Vitamin E),Caprylyl Glycol, Caprylic Acid, Sorbic Acid, Fragrance, Phenoxyethanol. 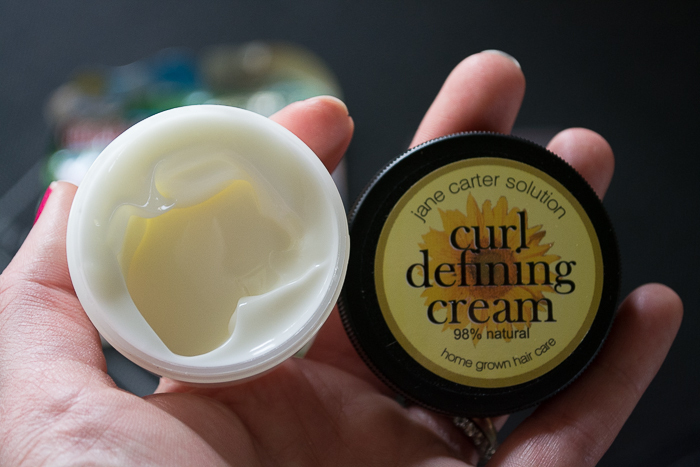 Whereas the above product left a little frizz, this gave a smooth non-greasy finish to my waves that reminded of Aveda’s curl defining products—minus the silicone ingredients that buildup over time. Description: Moisturizing shea butter-based lip cream that glides on smoothly and provides a hint of colorful shine. 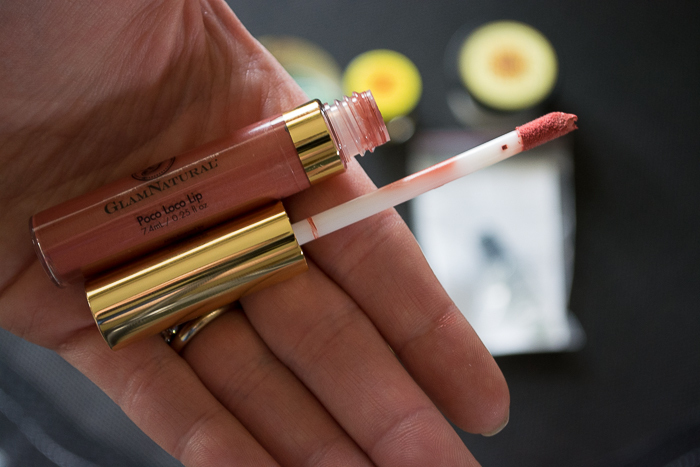 A nice thick hydrating lip gloss. If your lips are already dry rub in a little chapstick first. This will avoid your lips looking too creasy. Description: Quick-drying and glossy chip-free top coat perfect as the last layer in your nail color routine. Wow! This top coat is amazing! I haven’t had the chance to buy it again, but I would. It definitely prevents chips especially if you’re always working with dishes/washing your hands/using your hands. It is super glossy like glass and just looked great. This product was a welcome surprise. Description: Vitamin-rich organic body oil that absorbs rapidly and leaves behind a silky and radiant glow. I’m still a little confused on what makes an oil ‘dry’, but I know the difference when I’m applying it. This oil is definitely dry and yet it feels wonderful. It’s like laying a light sheer layer of moisture over your entire body. Absorption is quick so much that I didn’t have to worry about staining my clothes. Use it right after the shower when it absorbs into the skin better. I think Dazzle Dry was my favorite this month. It’s nice when you can paint your nails and not have them chipped the next day. Plus they have a super helpful FAQ that covers general nail issues.